This is Nails Inc George Yard. I've not worn a metallic nail varnish on my nails since 2002. Okay, that may be a slight exaggeration, but other than those proper mirror metallics like minx, I think metallics have been out for a long while. This colour came as part of a set, so I didn't specifically choose it, but I did like the look of it in the bottle. I was tempted to use it on my toes, but I really can't tear myself away from wearing fuchsia pinks on my toes, so i put it on my nails. I wore it for a night out and I quite liked it. It was very easy to apply, so I might use it again for that reason if nothing else, unless metallics are making a comeback! It's actually a very nice shade of gold, quite peachy and not at all in your face, with subtle glitter. What's your opinion on metallic polishes, in or out? On the subject of Nails Inc, in case you didn't know, there are some freebie offers at the moment. Instyle magazine is again giving away a free bottle with their magazine. 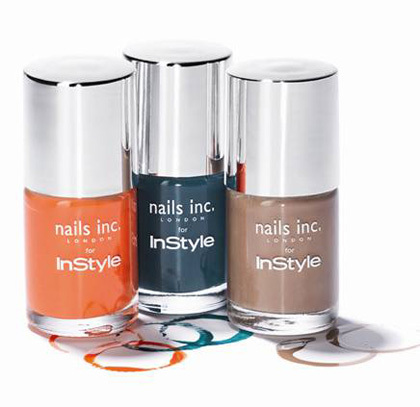 There are three colours to choose from which are candy orange, electric teal and fashion fawn. I'm not bothering to pick up any of these. I don't really like orange as a nail colour - coral yes, but orange no. And as for the teal and fawn, I have almost identical Nails Inc polishes to these, they just have different names. Definitely worth piking up if you do like these colours and don't already have them though - the magazine is £3.70 and on sale now. I've also heard you can get a limited edition Nails Inc polish with Malibu. These colours look a little more interesting for the time of year. You have to buy two malibu drinks in a participating bar and they'll give you a code to enter online. I'll probably go for this if I happen to see a bar doing the offer. Not sure which colour I like best without seeing swatches. I'm guessing Mali-blush is probably more coral than it looks in the bottle, so I'd probably go for that. Has anyone ever paid full price for a Nails Inc polish?! I always get them in sets or special offers like these, and I still have a massive collection! Don't forget to enter my 250 followers giveaway - it closes on 21 May. I think this looks really nice on you. 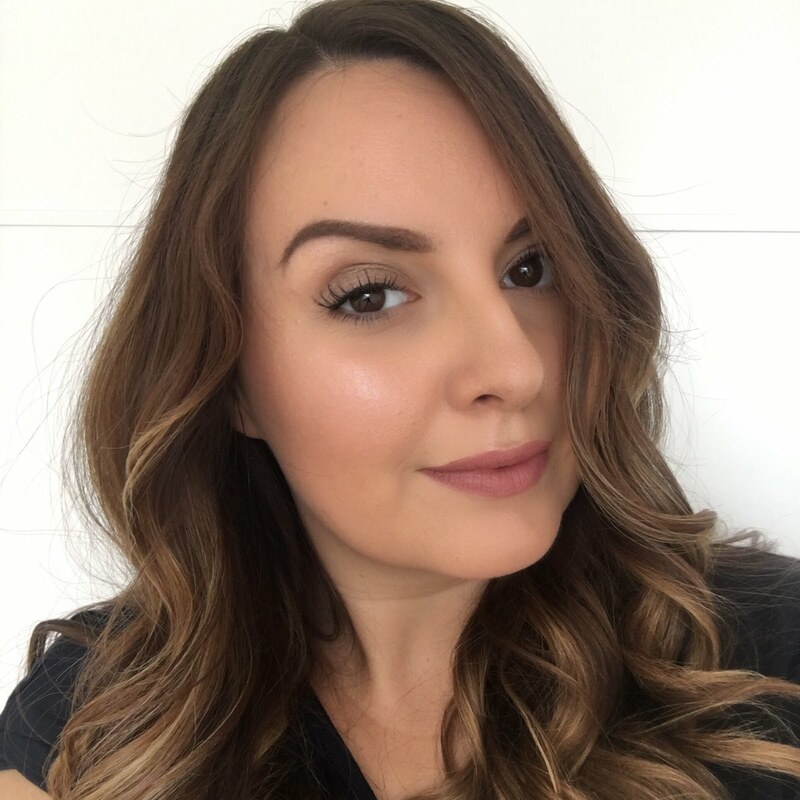 I wore Models Own 'Champagne' recently and that was similar but gold instead of silver and I loved it! I love metallics nail varnishes. I just find it chips much more easily, which is a shame. If a bar near me does the malibu offer. I think I will have to get involved. They are some nice summery colours. 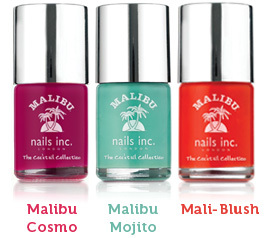 Those Malibu ones look fab! haha im with you, ive got quite a few nails ince, and not paid full price for any of them! i love the idea of the malibu ones! pity i cant stand malibu, and ive not heard of any bar i know thats doing this...liike the look of the turquoise, but then again i am addicted to turquoise atm!